Sunnies. 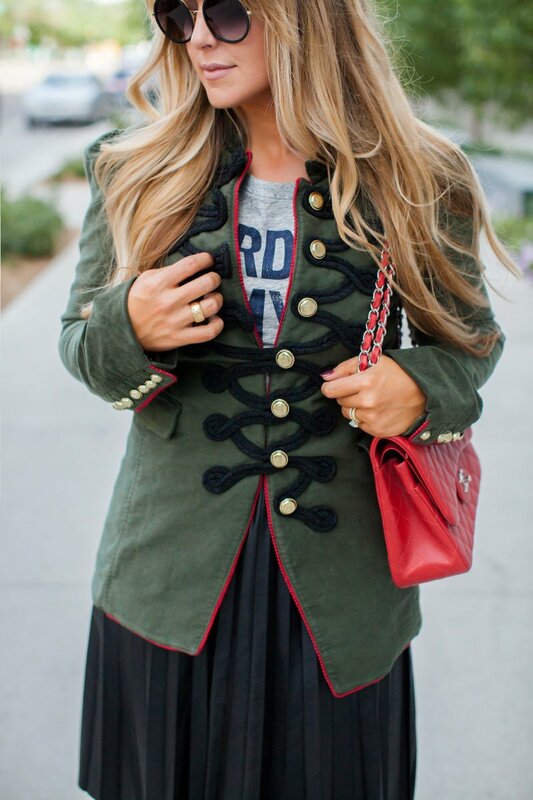 Military Jacket – Navy and Red. Similar Faux Leather Skirt. Red Chanel Medium Classic. Heels. It appears I’m nothing if not consistent. The other evening I donned this gorgeous military jacket with black jeans for dinner with my husband. We were walking into the restaurant and I realized my jacket was off by one button. Then tonight I sat down to write this blog post and sure enough, I made the same mistake while getting dressed for these photos. The next time this happens I’m going to pretend I’m making a fashion statement, but we’ll both know the truth. I always receive lots of questions when I post this red Chanel bag. 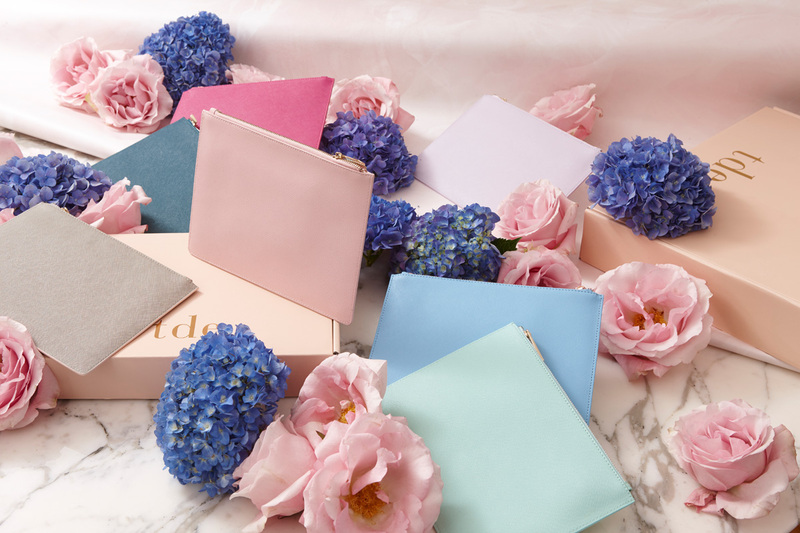 I go more into detail in this blog post and share my thoughts on what you should look for if you are ready to purchase one. Fit Details: Jacket runs true to size, is beautifully made, and is flattering on the body. The olive green sold out quickly, but this style is now available in navy and red so be quick if you’re interested! Awesome jacket you have here, Brittany. This is a sure head-turner. So different, but pretty.